Seeing as my last two posts were dead in the water (you can read about them here and here if you are feeling so inclined), I thought I’d continue one of this blog’s most popular recurring features. Spring is just around the corner…or so many of us hope. In the spirit of warmer weather, where am I in this pic? According to Google, Skol is an BRAZILIAN beer… so, maybe Rio? 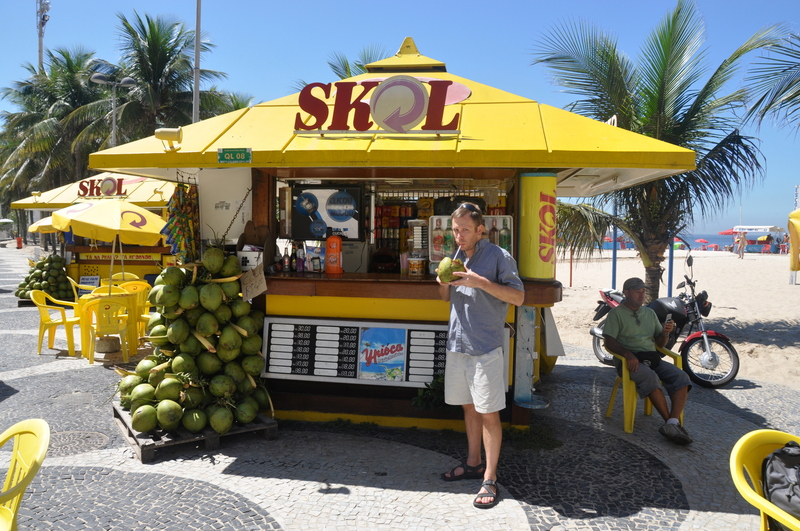 In the pic, I’m enjoying a coconut refreshment along Copacabana Beach. This picture was taken in 2011, but Rio finished celebrating Carnival not even two weeks ago!